Talent alone doesn’t win games in any professional sport. That especially rings true in football, the sport that many people call “the ultimate team game.” In the NFL, the best teams in the league are built on depth. Contrast that with a league like the NBA, where one superstar player can mean the difference in being a team with a lottery draft pick and being a team playing in the NBA Finals. There is one exception to the rule that depth trumps talent in the NFL. In some cases, teams with elite quarterbacks are able to overcome thin rosters and a lack of overall depth to win championships. It doesn’t happen often, but it has happened, so we felt it was worth mentioning before we move any farther into this article. The most tried and true path to team success in the NFL is, and always has been, having a roster that is talented from top to bottom. To accomplish this in today’s salary cap era almost always requires a string of strong draft classes. An excellent example would be the Dallas Cowboys of the 1990’s. They were able to parlay the blockbuster Herschel Walker trade into enough draft picks that, combined with a handful of smart free agent signings, led to them successfully building one of the greatest dynasties in NFL history. As Organized Team Activities are now in full swing, we decided to take a look at the most talented overall rosters in the league heading into the 2015 season. We opted not to place any more value on certain positions over others and simply made our evaluations based on how many impact players each team has. With that being said, here is a look at the top five most talented rosters (in no particular order) in the NFL heading into the 2015 season. * Note: this is not a prediction on how teams will finish in the final 2015 standings. 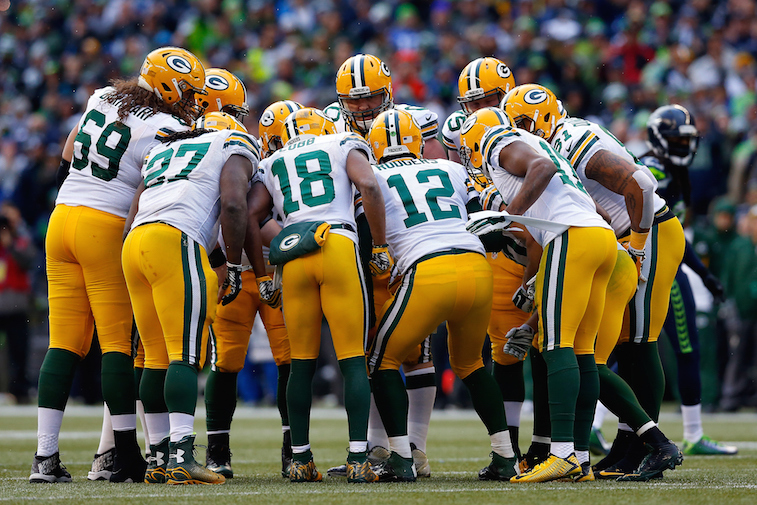 Even without the best quarterback in the league, Aaron Rodgers, the Packers would have an incredibly talented roster. General Manager Ted Thompson has built a team with numerous playmakers on both sides of the ball without ever having to truly venture into the risky world of unrestricted free agency. With the exception of Julius Peppers, the Packers drafted every one of the above-mentioned players. Heading into the 2015 season, the Packers are one of the favorites to win Super Bowl 50, and with a roster as talented as theirs from top to bottom, it’s easy to see why. Despite losing All-Pro left tackle Ryan Clady to a season-ending ACL injury, the Broncos are again going to be among the most talented teams in the NFL. 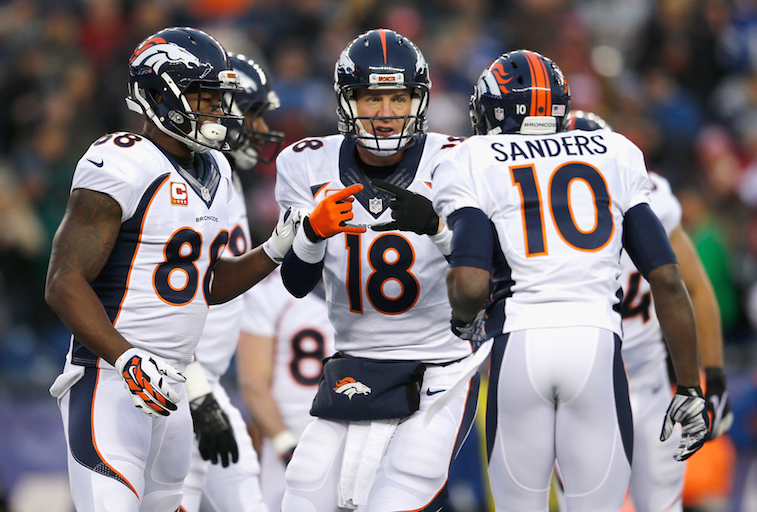 Peyton Manning, arguably the best quarterback to ever play the game, is back for a fourth season in Denver, and the 1-2 punch of Demaryius Thomas and Emmanuel Sanders may give the Broncos the best wide receiver duo in the league. Running back C.J. Anderson emerged late in the 2014 season as one of the top young running backs in the league, and tight end Owen Daniels and guard Louis Vasquez give the Broncos two more Pro Bowl caliber players on offense. Denver is almost equally as loaded on the defensive side of the ball with Von Miller and DeMarcus Ware forming what may be the best edge-rush combination in the league, and Chris Harris Jr. and Aqib Talib giving the Broncos two legitimate shut-down cornerbacks. 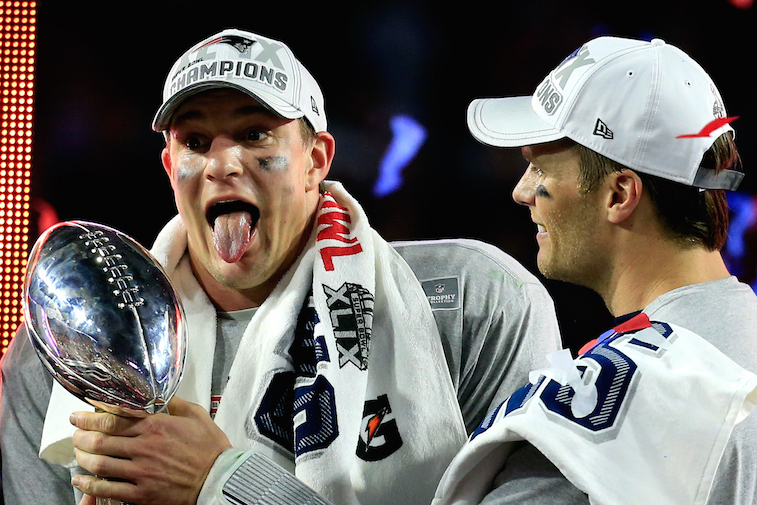 In 2014, Denver proved that talent alone doesn’t necessarily equate to postseason success, however. 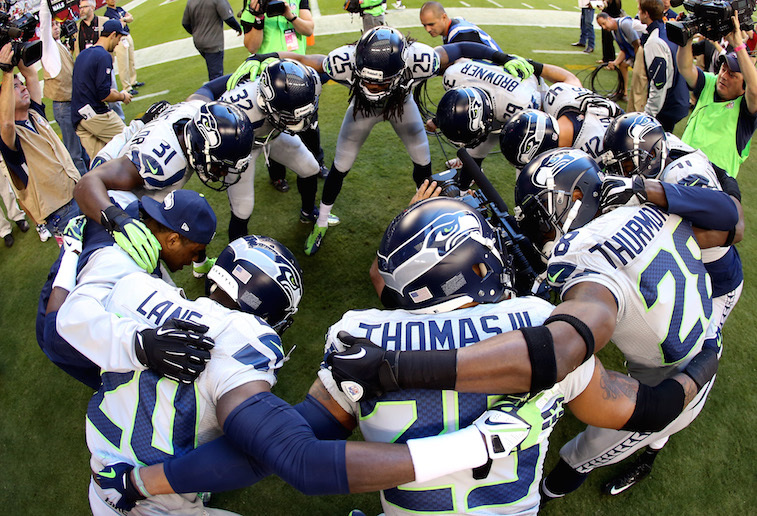 If you’re asking us, the Seahawks have the most talented roster in the entire league at this point in time. Their defense, which has been one of the best the NFL has ever seen over the last three years, returns almost entirely in tact. Things may be changing in the coming years as some of their young superstars hit free agency, but as of now, it’s a safe bet that Seattle will again have the best defense in the league in 2015. Offensively, the Seahawks were the best rushing team in the league for most of the 2014 season, but the team made one key addition this offseason that has Vegas thinking they have the best shot at winning their second Super Bowl title in three years. That addition is All-Pro tight end Jimmy Graham. The former college basketball player gives quarterback Russell Wilson a much-needed elite pass-catcher, and Graham’s presence alone will go a long way in strengthening Seattle’s offense. As it stands, this group has the potential to go down as one of the most talented teams in NFL history. If Cowboys’ owner Jerry Jones had it his way, his team wouldn’t be on this list. Quite possibly the smartest thing Jones has done during his time running the Cowboys was choosing to listen to his personnel staff and bypassing using the team’s 2014 first round pick on quarterback Johnny Manziel. The Cowboys instead took offensive guard Zack Martin, who looks like a player who could end up on multiple All-Pro teams, and now have the best offensive line in all of football. Dallas did opt to let running back DeMarco Murray, the 2014 NFL Offensive Player of the Year, leave as a free agent, but their offensive line has the ability to turn an average running back into a Pro Bowler. 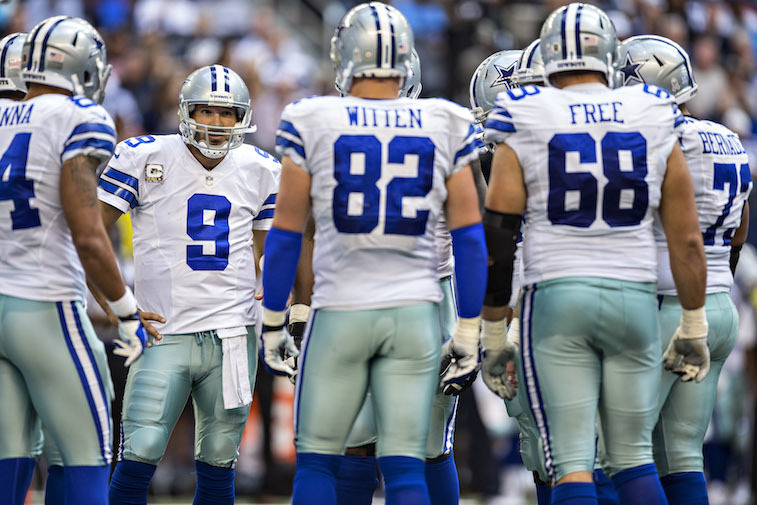 With that, the team’s improved play up front also did wonders for quarterback Tony Romo, who had the best season of his career in 2014. Defensively, the Cowboys aren’t quite as strong, but they still have some extremely talented players on their roster. Defensive end Greg Hardy may be a scumbag and will miss several games due to suspension during the 2015 season, but there is no denying his talents as a football player. Cornerbacks Brandon Carr and Orlando Scandrick won’t ever be confused with Darrelle Revis, but both have quietly developed into Pro Bowl caliber players. The Cowboys may not be as talented as the Packers or the Seahawks, but this is a roster that, if things go right for them, is talented enough to make a deep run in the NFC Playoffs. 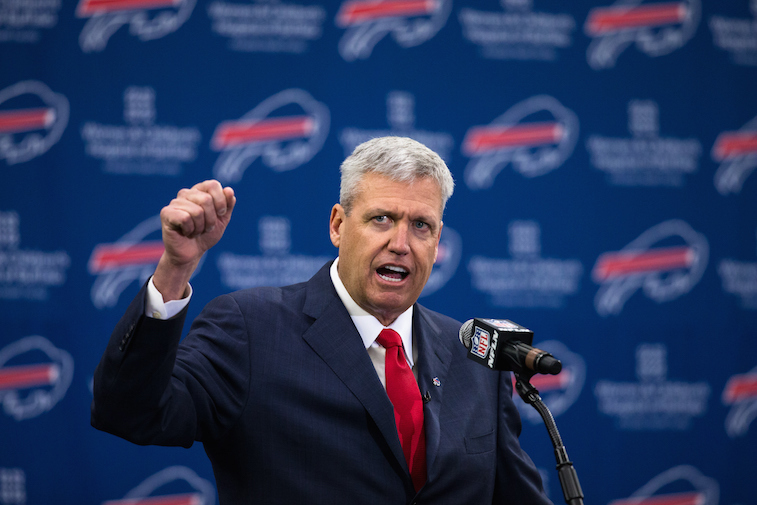 When Rex Ryan became the new head coach of the Buffalo Bills, he almost surely felt a sense of déjà vu. A lot like several of his teams with the New York Jets, the Bills are a franchise quarterback away likely being considered one of the favorites to win the Lombardi Trophy as Super Bowl champions. Regardless, they will enter the season with a roster that has a legitimate case for being considered the most talented roster from top to bottom in the entire league. Whoever plays quarterback for Buffalo this season will have a plethora of explosive weapons at his disposal, and with Ryan at the helm, you can safely bet that the Bills will have one of the league’s premier defenses in 2015. With a roster as talented as theirs, we see the Bills as one of the potential surprise teams heading into the season.